150 private hospitals in Telangana have been issued notice to pay “luxury tax” by the commercial taxes department (CTD). The hospitals are based in Nizamabad and Warangal, and the notices have been issued in the last two weeks. 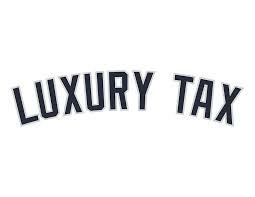 The reason for the implementation of the luxury tax comes in view of new policy introduced by the department. The 10 per cent tax is levied on private hospitals providing special rooms with TV and air-conditioning facilities with retrospective effect from June 2, 2014. As implied by a statement by Dr D Narayan Rao, president, Telangana Private Hospitals and Nursing Homes Association (THANA) to TOI, he has made a strong comment on restoring to a legal recourse as he feels it is impractical and illegal both. He also further indicated that such a decision will adversely affect the treatment cost to be borne by patients as the hospitals will have no choice but to pass on the burden to them. “Though CTD Hyderabad has not yet issued notices to us, the moment they start coming after us for collection of luxury tax, many of our members would have to shut down. This is because 80% of the 1,200 private hospitals in Hyderabad have less than 25 beds and they would be hard hit,” explained Dr B Narender Reddy, city president elect of THANA, Hyderabad. There are 15 top corporate hospitals and around 10,000 beds available in 1,170 odd nursing homes and hospitals in the city. These special rooms are given at an average of Rs 1,000 per day of hospitalisation.